Calvin Klein is arguably the most popular manufacturer of clothing in the world and for good reason. Since it was established by its eponymous founder in 1968, the label has been on the forefront of design and innovation and regularly utilizes the latest technological developments in the garment industry to ensure it continues to give the fashionistas of the world clothes they can be proud to wear. One of the most popular Calvin Klein products of recent memory is the Non-Iron Herringbone Dress Shirt, but is its popularity justified? As you likely guessed from its name, one of the major selling points of the Calvin Klein Non-Iron Herringbone Dress Shirt is that it can be worn straight from the dryer. Some people may feel such convenience is too good to be true, but those who have purchased the shirt have rarely reported it being anything less than as advertised. It is composed of 100% cotton and comes in 17 different colors and dozen of sizes, so you’ll almost definitely be able to find the style for you. Because Calvin Klein Herringbone Mens No Iron Dress Shirts do not have to be ironed before they can be worn, they are a great choice for busy men who don’t have the time to iron their clothes every morning. 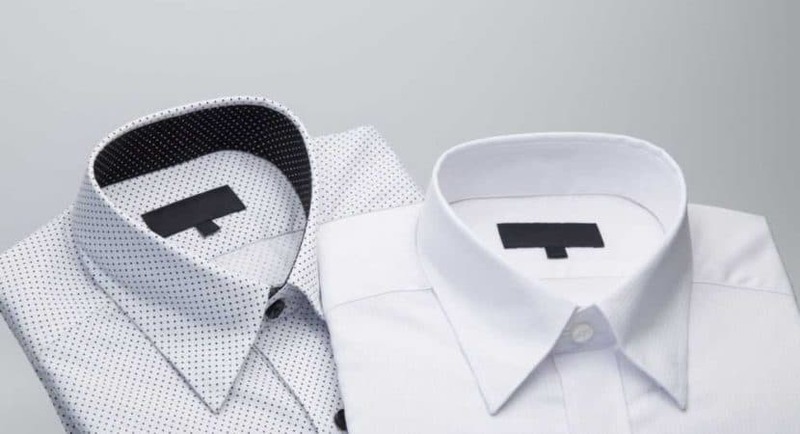 Because it is the product of one of the most respected designers in the world, this shirt will appeal to those who feel under dressed unless they are wearing something from a recognized brand. As a consequence of Calvin Klein’s popularity, however, the Non-Iron Herringbone Dress Shirt sells for significantly more than the average dress shirt, so those who are trying to style themselves on a budget will have to look elsewhere. 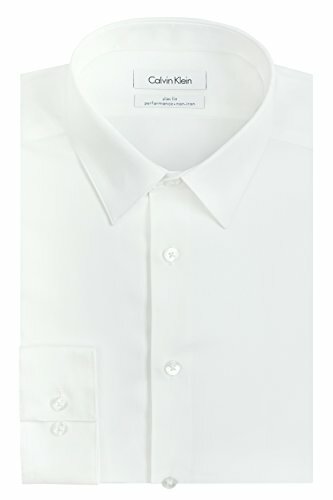 The Calvin Klein Non-Iron Herringbone Dress Shirt includes nothing but cotton in its composition, which means it can be washed in the average washing machine without any problems. The designer included adjustable barrel cuffs with this shirt, so you’ll be able to alter your sleeves for style and comfort at your convenience. It should be noted, however, that the black necktie frequently featured in Calvin Klein’s advertisements for this dress shirt does not come included with it and must be purchased separately should you wish to recreate the look. Among the many stylish features of this dress shirt is a point collar, which looks just as good with a necktie as it does unbuttoned and open. It also boasts a shirttail hemline, which will ensure the shirt remains tucked into your trousers, eradicating the risk of you looking scruffy after a bathroom break. One of the things we love about dress shirts is their remarkable versatility. A dress shirt can be paired with anything and the Calvin Klein Non-Iron Herringbone Dress Shirt is no exception to the rule. If you are planning on wearing this shirt to work, we recommend going with the white color option and complimenting the point collar with a skinny necktie to put a modern twist on an old favorite. If you’re looking for something a little more casual, however, try one of the bolder colors this dress shirt is available in. When worn with a nice pair of jeans and some loafers (and maybe accessorized with a watch or ring), the Calvin Klein Non-Iron Herringbone Dress Shirt is perfect for a night on the town. As much as we love the Calvin Klein Non-Iron Herringbone Dress Shirt, we understand that not everybody has the cash to spend on designer brands. We also understand that not everybody with the money to wear designer brands every day feels comfortable doing so. If, for whatever reason, you can’t imagine yourself happily throwing on your Calvin Klein Non-Iron Herringbone Dress Shirt at the start of the day, we recommend you try the Muse Fath Men’s Printed Dress Shirt instead. Muse Fath isn’t a particularly well-known brand, but its clothes are flawlessly designed and the Men’s Printed Dress Shirt is evidence of that. Generally selling for $20 range, this shirt boasts a point collar, convertible cuffs, and 100% cotton composition. ​At the beginning of this article, we asked if the popularity of the Calvin Klein Non-Iron Herringbone Dress Shirt is justified. It may ultimately come down to a matter of opinion, but we believe the hype surrounding this dress shirt is most definitely justified. Although it may cost a little bit more than most would like to spend, with the Calvin Klein Non-Iron Herringbone Dress Shirt you get a product from an industry juggernaut that is flawlessly designed and equally flawlessly executed. The dress shirt’s versatility means it will adapt to changes in fashion, so you can be certain you’ll get years of wear out of it.